A man from Pittsfield, New Hampshire was killed recently when his motorcycle crashed into another vehicle. Police told WMUR, that the 54-year-old man was riding behind a vehicle on Suncook Valley Highway. When the lead vehicle turned right an SUV pulled on the Highway from the side road and the motorcycle hit it. Authorities said an off-duty firefighter attempted to perform CPR, but he died at the scene. 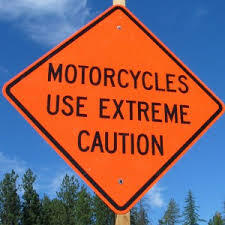 Although Labor Day has come and gone, there will still be hundreds of motorcycles on the roads as we move into fall. There are some things to keep in mind both as a motorcyclist as well as a vehicle driver. Bikers, remember to wear protective equipment. This includes a helmet, eye protection, ear protection, jackets, gloves, riding pants, and boots. In the event of a crash, these safety items may not only help to protect your skin from significant road rash, they could save your life. Watch for hazards in the road. These could be anything from a grated road to construction debris to pieces of other people’s vehicles. If you are in an unfamiliar area, it’s ok to slow down, especially since there may be an unsuspecting pothole or road deformity. If you are riding in the rain, remember that the first 15 minutes of rain all are the slickest. Experts say don’t risk getting hurt during this time, instead pull over and wait 15 minutes while the grease and oil that shine on the road wash off. The road will still be wet when you decide to go back out, but it won’t have the same viscosity it had at the start of a storm. Once you’re back out there, of course, slow down and watch for puddles. Wet roads are still slippery roads – even after 15 minutes. Stopping is more difficult and takes longer, and trying to stop or turn on anything metal or painted that is wet will be more difficult. We’d rather you get there safely that quickly. Automobile Drivers, you have a responsibility to share the road with motorcycles. You are more likely to see an oncoming car or SUV than you are an oncoming motorcycle. Look twice, maybe even three times, to be sure that you are not about to pull out in front of a motorcycle. Likewise, motorcyclists stay alert and dress not only safely in the items described above, but also in clothes made to be seen – especially at dusk or night. Everyone should always ride and drive sober. It is never worth it to get on a bike or in a car to make a “quick trip” anywhere if you have been drinking. That quick trip could change your life indefinitely.